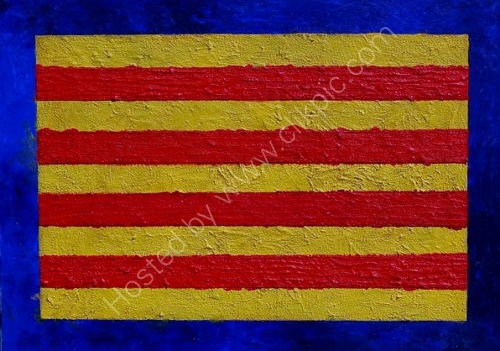 Painting of the Catalan Flag approx. 900mm x 600mm. Made of earth, seawater, sand, small stones and sunshine.